Any and all improvements shall be fully ADA compliant. The scoping document shall be consistent with current FRA and NYSDOT issued standards, guidelines and manuals. The Rochester Intermodal Transportation Center should be designed in such manner that is emphasis itself as a community landmark and gateway to Rochester’s Center City. Fully respectful of Rochester’s rich architectural and transportation history, the Rochester Intermodal Transportation Center shall compliment the neighborhood, foster adjacent development and respect the operational needs of the various entities occupying the building. It should be an “award winning space and design” where travelers are welcomed and encouraged to visit community cultural resources and foster greater use of public transportation. Gateway concepts should be used to enhance and define the experience not just in southern direction but radiantly in all directions. The Rochester Intermodal Transportation Center serves as a welcoming landmark for downtown Rochester. The addition of public art to these gateways is encouraged. Beautifying this approach creates a continued sense of community and connectivity. It is envisioned that the Rochester Intermodal Transportation Center shall be utilized by not just Amtrak but may also share space with Greyhound, Trailways, local taxi’s, RGRTA shuttle service, RTS buses, hotel shuttles, car rental agencies, pedestrians and bicyclists. Various agencies may desire space in the building for information kiosks, and/or staffed booths. Dependant on market demand and operational aspects, additional space may be required in the building for restaurants, newsstands, cafes, vending services, wireless work stations, baggage, mailing services, bicycling services, and gift shops. The Consultant will assess not just the existing site but other sites deemed feasible given project objectives and a though understanding of operational needs, current city plans, and funding limitations. The selection of the most feasible site will be guided by a Project Steering Committee. Potential sites that merit further investigation include but are not limited to: Front Street, Existing Kodak lots along State Street, and the “former” US Post Office on Cumberland St.
Based on both the strengths and assessment of the preferred site and comments from the participating public at large, the Project Advisory Committee and the Project Steering Committee, the Consultant will fully develop schematics, cost estimates, program plan, phased implementation plan and undertake environmental review for the new Rochester Intermodal Transportation Center. The scoping document will be the result of community outreach and planning recommendations put forth by professional and experts involved in the following fields: railroad operation (Amtrak, CSX), urban planning, retail operators, development, bus and transit operations, public space, bicycling, parking, heritage, economic development, transportation, and tourism. The scoping document will incorporate, promote and support great public space. It will use key attributes related to sociability, uses, activities, comfort, image and access for great public space. The scoping document shall discuss and highlight streetscape and building components that include but are not limited to: sidewalk widths, ADA standards, material and design, lighting, landscaping, green space, signage, benches, bicycle racks, bicycle lanes, protection of view sheds, kiosks, and a substantial connection to Main Street, Clinton Avenue, Joseph Street along with other points of activity. The scoping document shall discuss and plan to create a softened atmosphere visually and environmentally through the introduction of large, appropriate trees along the sidewalk. Any and all landscape shall give texture to sunlight, frame views, and soften the surrounding built environment. The gateway is also extended to the north of the Amtrak Station. As one arrives from North Clinton Avenue, south into the City, the Rochester Amtrak Station again serves as a welcoming landmark for downtown Rochester. The addition of public art to this gateway is encouraged. Beautifying this approach creates a continued sense of community and connectivity. This project should serve to preserve, enhance and promote one of Rochester greatest memories: “The 1914 Bragdon Station”. Sensitivity to the communities desire to achieve architectural and award winning recognition must be fully understood and incorporated into the process. The City of Rochester expects the new Intermodal Transportation Center to draw residents and visitors to downtown Rochester. The Intermodal Transportation Center should allow for interpretation of our rich transportation history. The Intermodal Transportation Center should be designed to serve as a catalyst for development in this district. The effect of the Intermodal Transportation Center should be dynamic and a significant contribution toward the overall revitalization of the Center City. Adjacent facilities have expressed support for this project and foresee this project being an excellent marketing tool to fortify their operations and secure a larger market share. 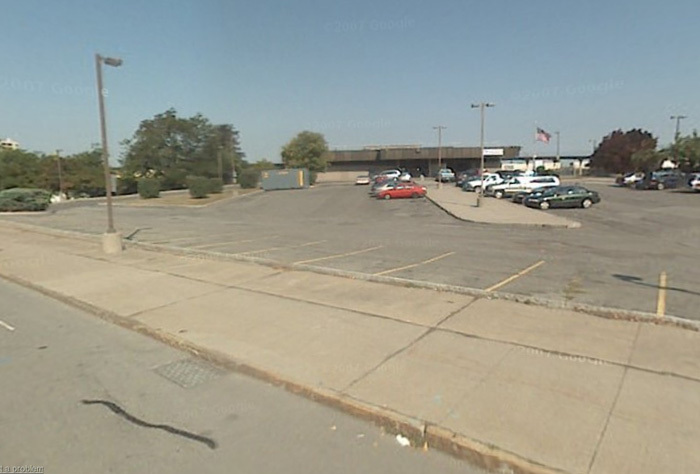 It is envisioned that the Rochester Intermodal Transportation Center will be built and operated partially or fully under the guidelines of current “Green Building Energy Conservation Programs”. The City of Rochester has strong interest in continuing to implement Green Building programs when and where feasible. Schematic plans, cost estimates and overall concepts should propose, if feasible, to integrate green building concepts, however sensitivity to historic and theme attributes shall be fully accounted for in any and all schematic plans. Download the RFP document here (PDF, 2.8mb). An RFP Pre-Proposal Meeting will take place this Friday, May 13 at 10 a.m. at the Rochester Amtrak Station. Potential bidders are encouraged to attend. Stay tuned to Reconnect Rochester for updates on this project. Pingback: RECONNECT ROCHESTER » A New Intermodal Station for Rochester, New York. Wow im so excited at this idea and concept. Im from rochester I know reside in ohio. This is ling overdue for a great city. They say if you dream it than its popossible. Please keep updates onthe proggress of this plan.